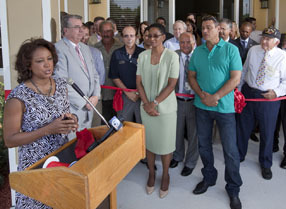 Current Builders hosted a grand opening celebration at the Village of Delray on May 24, 2011. 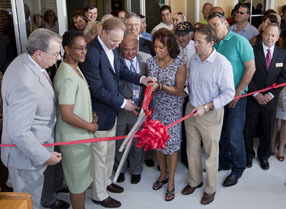 The Village of Delray project is a gated community with 144 affordable apartment units with a 7,500 square foot clubhouse including 6 station computer lab, pool, three playgrounds, a soccer field and basketball court. The development will house the Milagro Center, a structured and positive afterschool program providing art education, academic support and mentoring for children from K-5th grade. The community is located in Delray Beach, FL.